As Scots headed to polls in a bid for independence from Britain, the SNP had every right to be paranoid that they were all monitored by UK intelligence services, as the referendum constituted a “national security threat” to the UK, says Julian Assange. 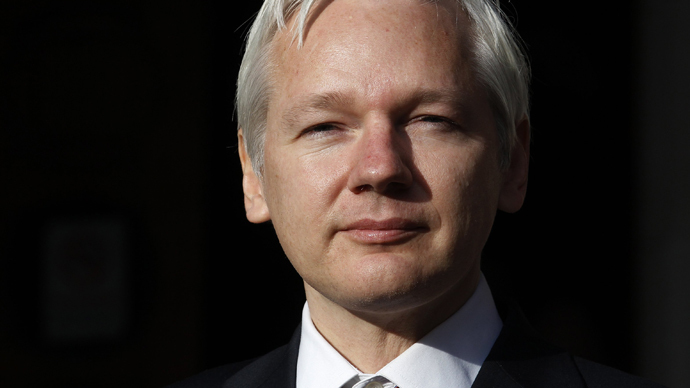 The founder of WikiLeaks, speaking via video link from the Ecuadorian Embassy in London to a crowd of some 400 lawyers in Glasgow, was quick to confirm earlier voiced fears of the Scottish National Party members who claimed that MI5 had been playing “dirty tricks” in sabotaging the pro-independence campaign in 2014. Such an operation, Assange says, would still be challenging, as an overwhelming amount of Scots who work for the UK’s security agencies would leak details of such efforts, just as Foreign Office’s campaign to preserve the image of UK unity had been leaked. Last September Scotland held a referendum on its independence from the United Kingdom. The idea of independence was rejected by just over 55 percent of the Scottish electorate.